George Zimmerman verdict: Came in at 2206 Hours Saturday night, July 13, 2013. George Zimmerman verdict: Former neighborhood watch leader not guilty in death of Fla. teen Trayvon Martin. In America, being Black can be hazardous to your health. Just being Black often makes one a suspicious character in his own neighborhood to anyone raised on stereotypes about African Americans. I felt the case was in trouble from the beginning. There is a law professor at my law school, The National Law Center at George Washington University, named Jonathan Turley. (Jonathan Turley is the Shapiro Professor of Public Interest Law at George Washington University.) He has analysed the case for USA Today. The acquittal of George Zimmerman in the death of Trayvon Martin was not minutes old when an outcry was heard over racial injustice and demands for yet another prosecution by the Obama administration. With the verdict, the Zimmerman case entered the realm of legal mythology -- a tale told by different groups in radically different ways for different purposes. Fax machines were activated with solicitations and sound bites programmed for this moment. Criminal cases often make for easy and dangerous vehicles for social expression. They allow longstanding social and racial issues to be personified in villains and victims. We simplify facts and characters -- discarding those facts that do not fit our narrative. Zimmerman and Martin became proxies in our unresolved national debate over race. Many have condemned this jury and some even called for the six jurors to be killed or demanded that they “kill themselves.” The fact is that this jury had little choice given the case presented by the prosecutors. This is why I predicted full acquittal before the case even went to the jury. Before the case is lost forever to the artistic license of social commentary, it is worth considering what the jurors were given, or not given. The problem began at the start. 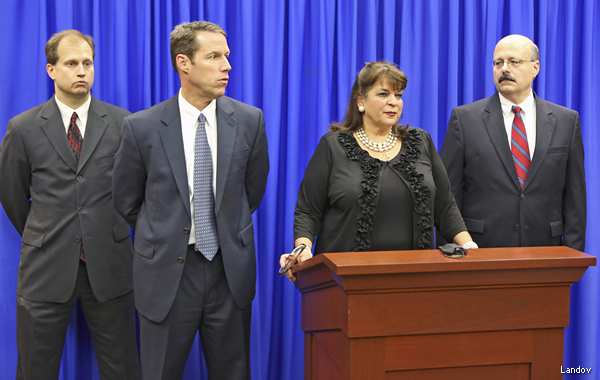 Many of us criticized State Attorney Angela Corey for overcharging the case as second-degree murder. While Corey publicly proclaimed that she was above public pressure, her prosecution decisions suggested otherwise. Investigators interviewed a key witness at the Martin home in the presence of the family -- a highly irregular practice. The decision to push the second-degree murder charge (while satisfying many in the public) was legally and tactically unwise. The facts simply did not support a claim beyond a reasonable doubt that Zimmerman acted with intent and a “depraved mind, hatred, malice, evil intent or ill will.” Had Corey charged manslaughter, the case might have turned out differently. The prosecutors then made that bad decision of charges worse by overplaying their evidence to overcome the testimony of their own witnesses. The prosecution’s zeal for conviction seemed to blind it to the actual strengths and weakness of the case. It also led to allegations of withholding key evidence from the defense to deny its use at trial, though Judge Debra Nelson seemed to struggle to ignore the alleged misconduct. Ultimately, we had no better an idea of what happened that night at the end of this trial than we had at the end of that fateful night. Jurors don’t make social judgment or guesses on verdicts. While many have criticized Zimmerman for following Martin, citizens are allowed to follow people in their neighborhood. It was also lawful for Zimmerman to be armed. The question comes down to who started the fight and whether Zimmerman was acting in self-defense. Various witnesses said Martin was on top of Zimmerman and said they believed that he was the man calling for help. Zimmerman had injuries. Not serious injuries but injuries from the struggle. Does that mean that he was clearly the victim? No. It does create added doubt on the use of lethal force. A juror could not simply assume Zimmerman was the aggressor. After 38 prosecution witnesses, there was nothing more than a call for the jury to assume the worst facts against Zimmerman without any objective piece of evidence. That is the opposite of the standard of a presumption of innocence in a criminal trial. Even for manslaughter, the jury was told that Zimmerman was justified in the use of force if he feared “great bodily harm.” That brought the jury back to the question of how the fight unfolded. The acquittal does not even mean that the jurors liked Zimmerman or his actions. It does not even mean they believed Zimmerman. It means that they could not convict a man based on a presumption of guilt. People will make what they will of the murder trial of Zimmerman. However, this jury proved that the justice system remains a matter not of legend but law. Harvard Law professor Alan Dershowitz says the prosecutors in the George Zimmerman murder trial should be charged with "prosecutorial misconduct" for suggesting the defendant planned the fatal shooting of Trayvon Martin. "That is something no prosecutor should be allowed to get away with … to make up a story from whole cloth," Dershowitz told "The Steve Malzberg Show" on Newsmax TV. "These prosecutors should be disbarred. They have acted absolutely irresponsibly in an utterly un-American fashion." Dershowitz is calling for a federal investigation into civil rights violations stemming from the George Zimmerman case — but he says the probe should focus on prosecutorial misconduct rather than on allegations of racial profiling and bias. Although Zimmerman was cleared of all charges, Corey told the media: “This case was about boundaries and George Zimmerman exceeded those boundaries. Zimmerman, a 29-year-old neighborhood watch volunteer, is charged with gunning down Martin, 17, as the two fought following a confrontation in the gated Sanford, Fla., community where Zimmerman lives — an act the defendant said was in self-defense. In the prosecution's final argument on Friday, lawyer John Guy said Zimmerman deliberately followed Martin and "shot him because he wanted to." Dershowitz called Guy's statement "such speculation. How does he get into the mind of Zimmerman? He hasn't cross-examined him, he hasn't met him. "To ask the jury to believe that is to ask the jury to convict based on complete and utter speculation and that's not the way the law operates." A day earlier, prosecutor Bernie de la Rionda said Zimmerman — whom he labeled a "wannabe cop" — "followed" and "tracked" Martin after profiling him as a criminal. Dershowitz said not only should Zimmerman have not been charged with second-degree murder, but prosecutors should not have pushed to have manslaughter and child abuse added to the list of possible jury verdicts. "[It's] utterly irresponsible. … The idea that the prosecution can try the case on a murder theory and then, at the last minute, substitute manslaughter, even though it seems to be permitted generally under Florida law — it's a big mistake to allow it in a case like this,” he said. "And then the very idea of even suggesting child abuse in a case like this is so irresponsible." Dershowitz praised the closing argument of defense lawyer Mark O'Mara. "He did the right thing by being methodical and factual because this is a case where the prosecution's case is all emotion and the defense case is all factual," the famed civil-rights lawyer said. "Emotionally, obviously everybody can identify with a young, unarmed 17-year-old who ends up dead, and emotionally, as President [Barack] Obama said, he's all of our children." Dershowitz — whose clients have included Claus von Bulow, Mike Tyson, Patricia Hearst, and former televangelist Jim Bakker — said the case has "reasonable doubt" written all over it. "Nobody knows who started the initial physical encounter, who threw the first blow — and if you don't know that you have to have a reasonable doubt," he said. "Nobody knows for sure who screamed, 'Help me, help me.' You have to have a reasonable doubt about that. Nobody knows for sure who was on top and who was on bottom, though the overwhelming forensic evidence suggests that Zimmerman was on the bottom having his head banged by a younger, stronger man. You have to have reasonable doubt there." Dershowitz added that he expects there will probably be a wrongful death lawsuit filed against Zimmerman for civil damages. He said civil-damage cases require a lower standard of proof that a wrong has been committed, and Zimmerman would not be able to avoid testifying. Dershowitz was careful to add that the tragic killing of Trayvon Martin exposes a need to reform Florida laws. He believes the Stand Your Ground law should be changed because it "elevates macho over the need to preserve life." “I think these vigilante community groups have to be disarmed,” he said. “I don’t think Zimmerman should have been allowed to have a gun. Now let us hear the conclusion of the matter. The bottom line is that Trayvon Martin was killed because he was Black. He was followed because he looked suspicious; he looked suspicious because he was Black; he was profiled because he was Black and looked suspicious; He was confronted because he was presumed to be harboring a criminal intent; He was shot by a man with a concealed weapon who wanted to prove to himself that he was not afraid of young Black men; he was killed because he was young, Black, and defenseless. In America being Black can be hazardous to your health. The Following Is An Open Letter From A Retired African American Military Officer. I too felt bitter disappointment and anger with a system that more often than not swings Justice in the opposite direction. Once again I have to reconcile an action that makes no humane sense to my reasoning of fairness to all. 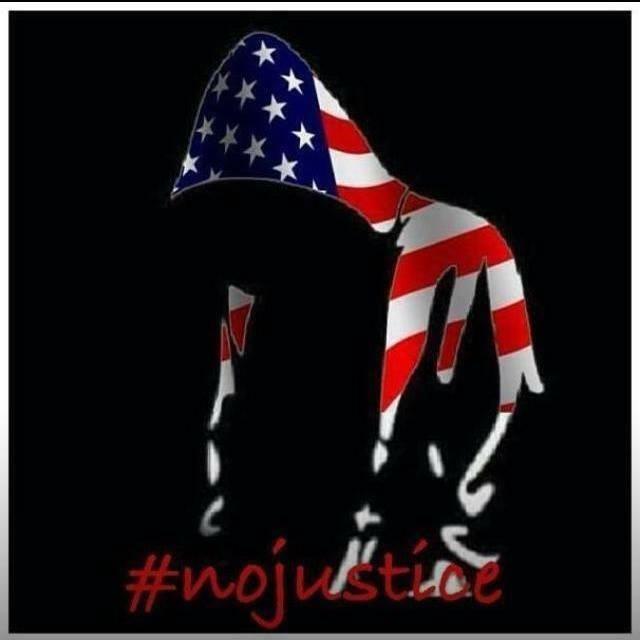 I never met Trayvon Martin but the circumstances of his murder placed him deeply within my conscience and spirit as though we actually met and shared memories as black americans. The Verdict did not surprise me, which is a very sad statement to make. The jury minus of any black person did as expected for a young black man. In a perfect society it should not make a difference, but that’s not the case and we know it deep in our hearts. They were asked to accomplish the most challenging aspect of our lives. Remove their emotions from the equation and use their logic wholly with the less than perfect instructions from the court system. Every day of our lives we are challenged to align our emotions with logic when we are faced with choices. As long as I’ve lived I have yet to find the one person that has mastered this. The hopeful thoughts of Justice being rendered to a black child that was wronged and not delivered offends my dedication and devotion to our country which I swore to protect and defend with my life as we all have. I’m left empty, bitter, frustrated and just damn right angry. Once again I must ponder on taking the high rode, suppress my animalistic desire to strike out and hurt someone. None of those options will bring Trayvon back or soothe his parents fractured souls nor mine. I too have had to sequester myself, from the TV, radio or any form of newscasts that would remind me. Just allowing myself to be in the Martins’ frame of mind gives me the shudders and an excruciating pain. I know we are a strong people that have suffered slights from the system since day one coming to these shores. The sore does not heal because of moments like these that refreshes the wound. Time does heal but unfortunately not for us when I know another Trayvon is on their unsuspecting way towards another isolated incident that due to the legalese of the law will cloak the devilish intentions of another Zimmerman and embrace them as the victim although they are the perpetrator. Praying is not getting it done. I’ve prayed unselfishly countless times to no avail. My knees ache from bending down and frankly I’m tired of not seeing a true and meaningful difference not just in this circumstance but many different life situations. Lord I humbly beg you to instill true love, respect, consideration and truthfulness into all of your children on this earth. Marching, protesting and just crying foul is nothing more than good theater to those that do not have a real understanding of our plight. Be damned, if we should use the race card in this insidious game of conquer, destroy, demean, degrade, defile and outright betrayal. Race was the cornerstone of this murder, like so many others. But we are not to infuse it on our behalf although it is used against us on many fronts. We are not in a colorless society but our societal power brokers want us to believe this lie and will go out of their way to ensure the message is steadfastly circulated with examples of its none existence but to their benefit. I’m so sorry Trayvon little bro that you had to lose your life at the formative stage when you were about to go into true manhood. The treasure chest of memories you created with your parents, sibling and friends is now complete and must be closed to any new memories. You won’t be forgotten at least by those that shared so many similarities to you. I can only hope that you may rest in peace knowing your family will always cherish those memories of you deeply in their hearts and that they tried to get some semblance of Justice for your wrongful death. Zimmerman, I doubt will never internalize his actions to at least come forward and tell the real story. He is a product of our society that values themselves over anything that is really righteous unless its for their own good. He will get his in due time without us wishing any ill will towards him. You can’t do something bad and expect any good to come out of it. For my active duty members and those still in the employ of others, do yourselves a favor by not debating the merits of the case with those that can’t really relate to our plight. Keep your heads high, stay sharp, professional in all aspects of your duties. Our ancestors have been down this road before us and now we get our turn to feel the anguish of Justice not served in the face of wrong. "They always get away." These were the words George Zimmerman uttered as he followed and later shot Trayvon Martin -- words that reflected his belief that Trayvon was one of "them," the kind of person about to get away with something. How ironic these words sound now in light of the jury verdict acquitting Zimmerman. Trayvon is dead, and Zimmerman is free. Who was the one who got away? Can we respect the jury verdict and still conclude that Zimmerman got away with killing Trayvon? I think so, even if we buy Zimmerman's story that Trayvon attacked him at some point. After all, who was responsible for initiating the tragic chain of events? Who was following whom? Who was carrying a gun? Who ignored the police urging that he stay in his car? Who thought that the other was one of "them," someone about to get a away with something? The jury has spoken, and we can respect its conclusion that the state did not prove its case beyond a reasonable doubt. But we cannot fail to speak out about the tragedy that occurred in Sanford, Florida, on the night of February 26, 2012. Was race at the heart of it? Ask yourself this question: If Zimmerman had seen a white youth walking in the rain that evening, would he have seen him as one of "them," someone about to get away with something? We'll never really know, of course. But we can seriously doubt it without assuming that Zimmerman is a racist in the conventional sense of the word. Racial bias reverberates in our society like the primordial Big Bang. Jesse Jackson made the point in a dramatic way when he acknowledged that he feels a sense of relief when the footsteps he hears behind him in the dead of night turn out to belong to white feet. Social scientists who study our hidden biases make the same point in a more sober way with statistics that demonstrate that we are more likely to associate black people with negative words and imagery than we are white people. It's an association that devalues the humanity of black people, particularly black youth like Trayvon Martin. George Zimmerman probably saw race the night of February 26, 2012, just like so many of us probably would have. Had he not, Trayvon probably would be alive today. The jury has spoken. 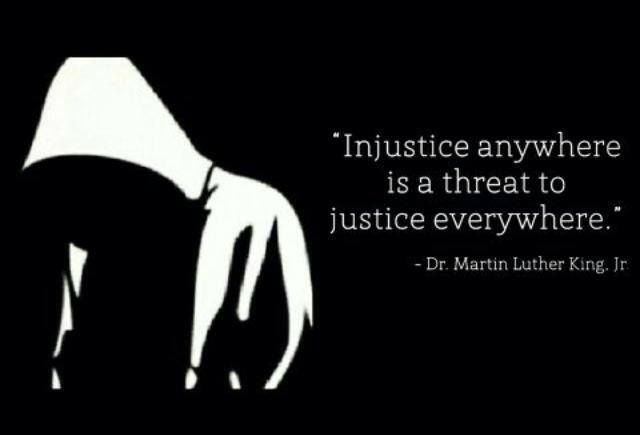 Now, we must speak out against the racial bias that still infects our society and distorts our perception of the world. And we must do something about it. Trayvon Martin was killed because he was Black. He was followed because he looked suspicious; he looked suspicious because he was Black; he was profiled because he was Black and looked suspicious; He was confronted because he was presumed to be harboring a criminal intent; He was shot by a man with a concealed weapon who wanted to prove to himself that he was not afraid of young Black men; he was killed because he was young, Black, and defenseless. In America being Black can be hazardous to your health.